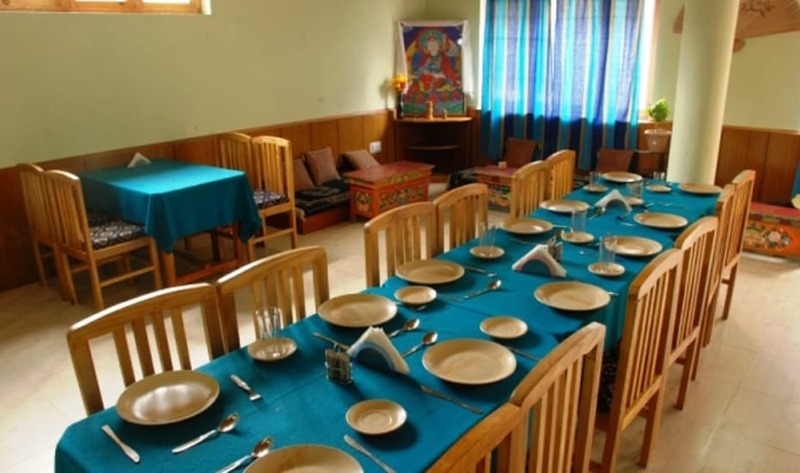 Located at a distance of 5 km from Leh Kushok Bakula Rimpochey Airport,Hotel Jorchung offers rooms overlooking the high snow covered mountain ranges. ThikseGompa is located at a distance of 19 km from this property. This hotel in Leh houses 14comfortable rooms which are well-equipped with various modern conveniences.Some of the in-room amenities include a TV, wardrobe, bottled drinking water, adjustablewindows and an attached bathroom with hot and cold water supply. Complimentary Newspapers in Lobby, Airport Transportation, Laundry Facilities, Internet/Wi-Fi, Backup Generator, Taxi Service, Parking, Front Desk, Major Credit Card Accepted, Family/Child Friendly. Dustbins, Attached Bathroom, Television Room, House Keeping, Shower Caps, Luggage Rack, Internet Access, Cable/Satellite TV, Desk, H/C Water. User reviews for "Jorchung Hotel Leh"